About a month ago, I decided to rent Sinister from the DVD store, the macabre cinematography and the unique storyline definitely provides quite a shocking finale. This 2012 horror flick stars Ethan Hawke who acts as a successful author who discovers a range of disturbing videos that endangers his entire family, towards the end of the film, everything spirals out of control and the true villain is revealed to all! So why am I talking about this film anyway? While I was browsing through the local video store, the DVD cover immediately captured my attention. On the very front features a young child smearing blood onto the wall; the pattern does remind me of a skull, this particular image does becomes a significant part of the film, although I wont explain too much for those who have not watched the movie! The very first time I watched Sinister, I was confused, baffled and slightly disturbed, although the actual storyline was quite different to anything I have heard or seen before! 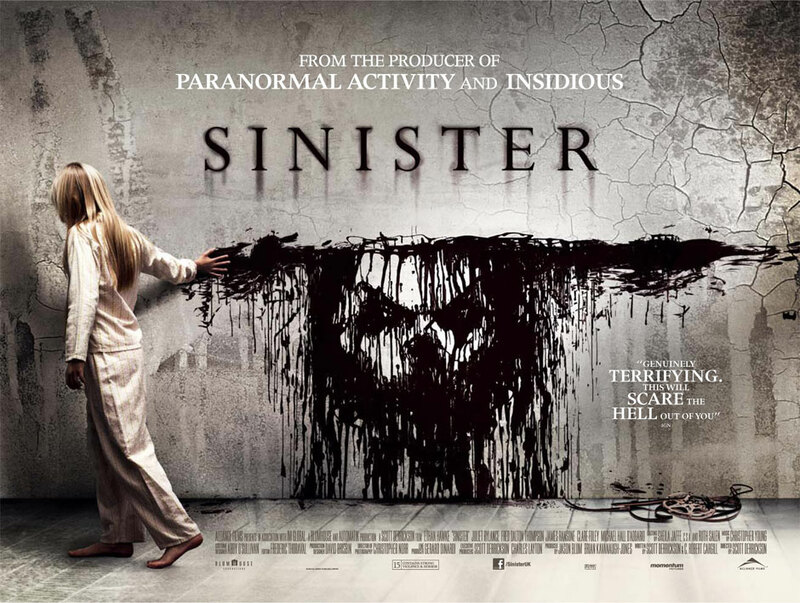 The visual effects were impressive, although Sinister was not particularly horrifying, the film was creepy more than anything! The music also provides a disturbing element to the film, I was anxiously waiting for something to jump from behind the corner, although the film did provide a very unexpected twist. I was particularly inspired by the make up, the villain does feature very disturbing characteristics that does become rather unsettling towards the end of the film. The make up appears very similar to a human skull, i’m not entirely sure if this is intentional, although this does provide the character with a dark and macabre appearance. This dark, mysterious figure, known as the ‘boogyman’ is the most intriguing aspect of the film, the grey wrinkly skin and the dark eye sockets are definitely unsettling, the character doesn’t even have a dialogue, in fact the character doesn’t appear to have a mouth in general, which is rather surreal! At first I thought Sinister would just be another clique horror film, although I was pleasantly surprised! At one particular stage, I thought I knew exactly was going to happen, although the film did take a completely different direction all together. 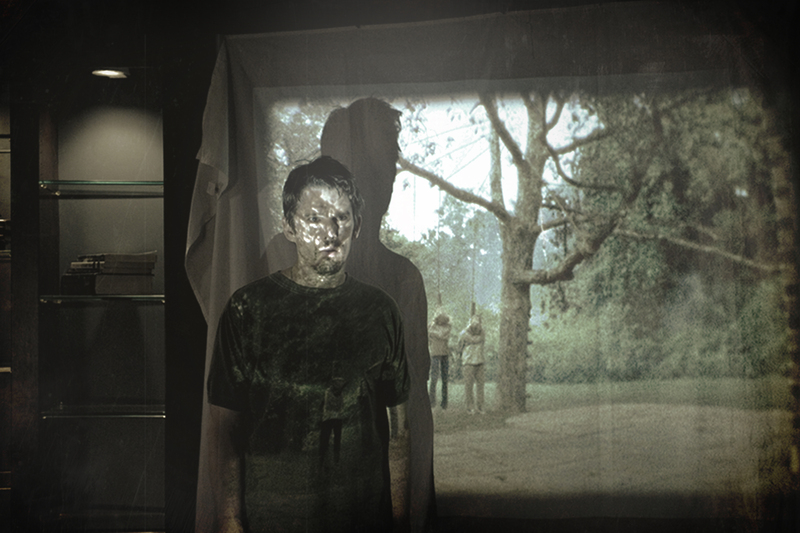 I had to watch Sinister for the second time in order to fully appreciate all the subtle hints within the film that were actually connected to the storyline. While Sinister wasn’t the scariest film I have ever seen, the plot was definitely thought provoking and the ‘boogyman’ was quite an impressive character! For all those Horror fans out there, if you’re looking for a disturbing film with an interesting storyline, then I would recommend Sinister, the ending will provide quite a shocking surprise!